Check out this guy! A classy guy that constantly carries his thinking cap (if he isn’t wearing a suit and tie, then he’s more than likely wearing a dad cap). Brandon Moore gives the perfect example of cool, calm, and collected. From his relaxed look of jogger pants, a bad @$$ graphic tee, and a dope dad cap to suited and booted at an after 5 event, he can transition from any scene to the next. Now that we have #MooreinDallas, expect to see more of him around town visiting the “nooks and crannies” of the Metroplex and shining some light on the cities’ best bars, restaurants, museums, and etc. Welcome B. Moore to Dallas and welcome him to #BeGreat. Professor Lebon at the University of Houston use to always tell us to go out and fail some more. It might sound weird but my lack of fearing failure has allowed me to take chances that have produced amazing results. I'm very big on win-wins. I don't want to work with people unless there is some mutual benefit. I realize in doing this people trust me a lot more because they know my intentions. This is how you're going to win and this is how I'm going to win. Everything for me is very upfront. Greatness is so self defined. For me it's about making an impact. I feel like everything I touch should come out better than it was. Lasting impacts on my community, culture, family, loved ones, those are the things that define greatness to me. My actual brand is still being developed, but my personal one is all about creating for others. I think the things that motivate me separate me. It's about making an impact more than anything else. I think my personal style is "classic". I don't like to have much flare. I just want something that has a good fit and looks well put together. I'm not really the type to make a fashion statement. Patient! haha. I have a solid plan of where I want to go and to get there it will be a bunch of small moves that aren't going to produce many big results in the near future, but it'll be well worth it. I just want everyone to win. I really try to find ways to bring people together. I want my impact to be me being a bridge. Bring together minds, ideas, movements, everything. I just want to see the culture thrive. It comes back to that same thing. 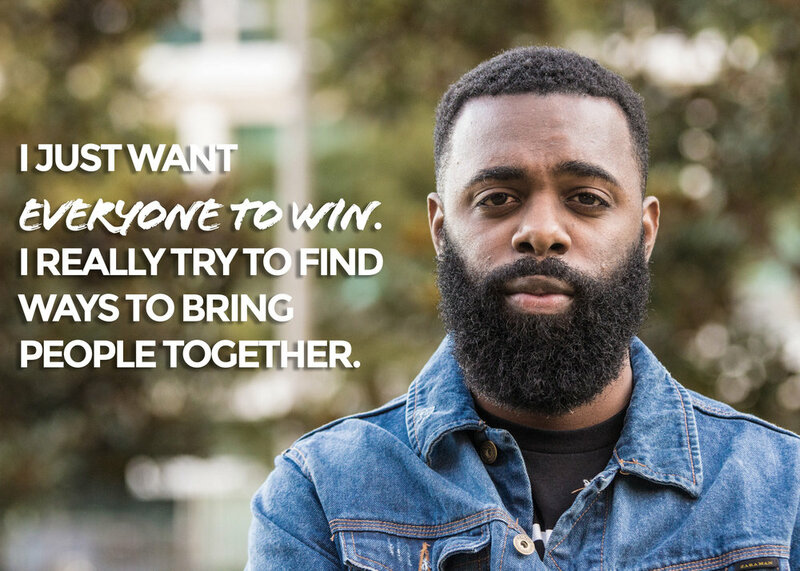 I want to see everyone around me win. That's really the drive behind everything here. Catch up with Brandon below!